The simplest way to eat tofu is cold, with soy sauce and a little bit of sliced green onion and grated ginger. It’s called hiyayakko. If you boil tofu, that is called yudofu. There are two types of tofu, called kinu goshi dofu and momen dofu. The ingredients are the same, but the amount of water is different. 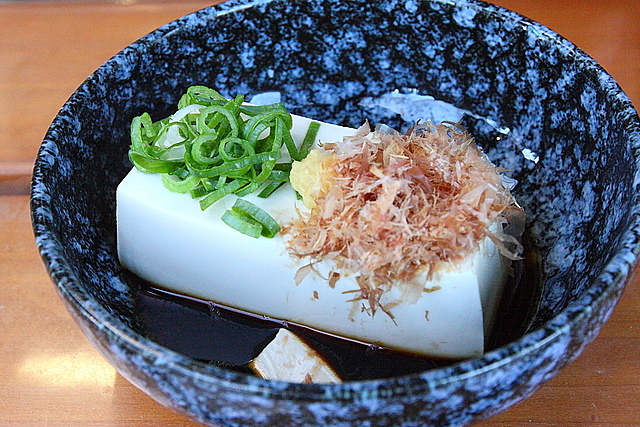 Kinu goshi dofu, which is “silken tofu” in English – is very soft and smooth. Momen dofu, which literally means “cotton tofu,” is firmer than kinu goshi dofu. When you make momen dofu, you drain some of the water out after the nigari. When you make kinu goshi dofu, you don’t drain out any water. 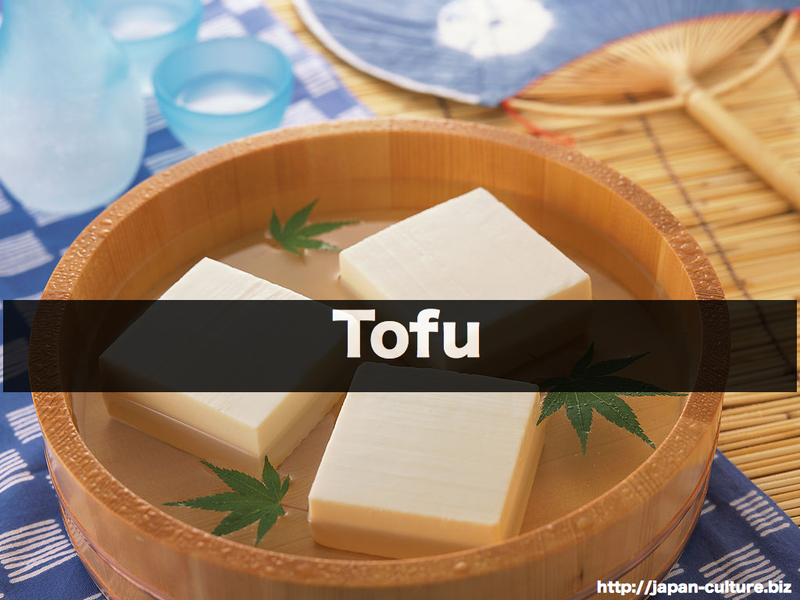 Do you know how to make tofu ? Let’s check this movie.